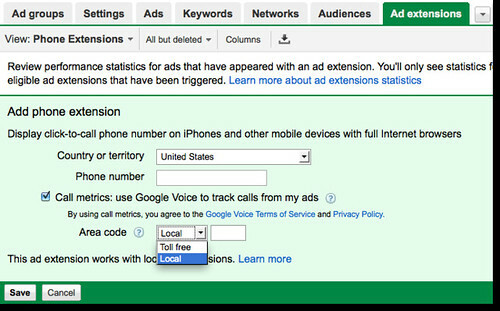 In May 2009, Google discontinued their call tracking phone numbers, which was supposed to be used for Google Audio Ads, but often used by search AdWords advertisers instead. Now, Google is bringing them back and naming them "AdWords Call Metrics." Greg Sterling has a great write up on it, and he explains that although calls are free now, Google may begin to start charging for them, maybe as a CPC basis.